Crimson Blooms are still blossoming in my gardens. 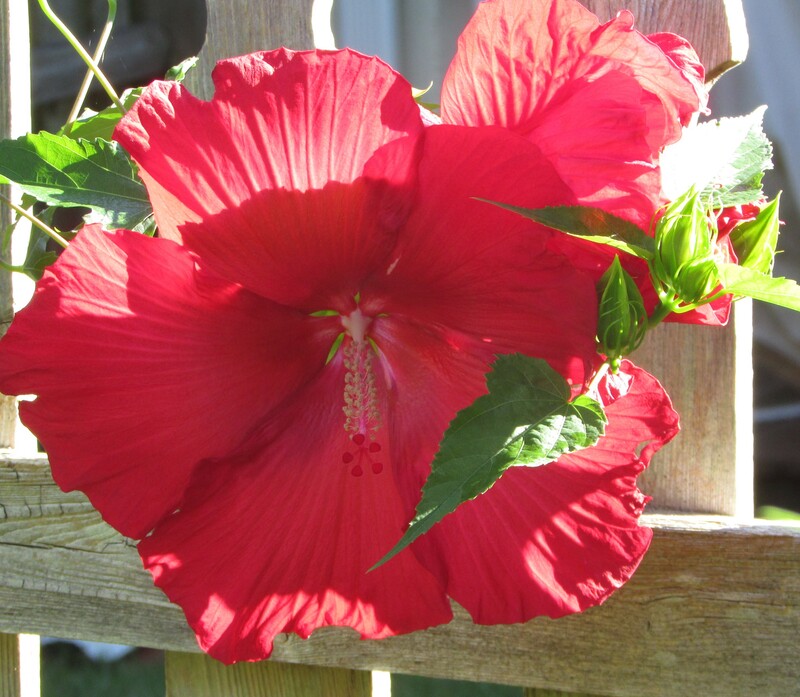 The Lady Baltimore hibiscus is one of my most reliable perennials. She is always late to the party, her stalks being one of the last to emerge from the ground in the spring, but she always outdoes the other perennials in color, bloom count, and size. Each blossom is as large as a dinner plate. Lady Baltimore grows 4 – 5 feet tall each year. 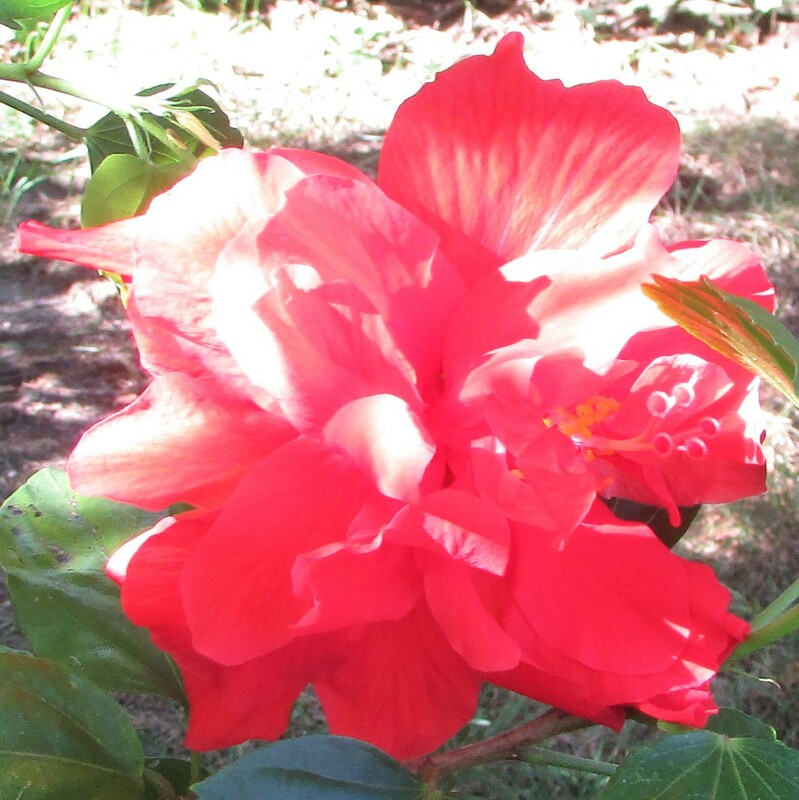 My red tropical hibiscus is a favorite too. I carried this plant away from a neighbor’s trash heap several years ago. The hibiscus wasn’t in the best of shape, half dead and a bit buggy, but I’ve nurtured it over the years and it has rewarded me with double blooms all year long. This hibiscus must be brought indoors before the first frost arrives. 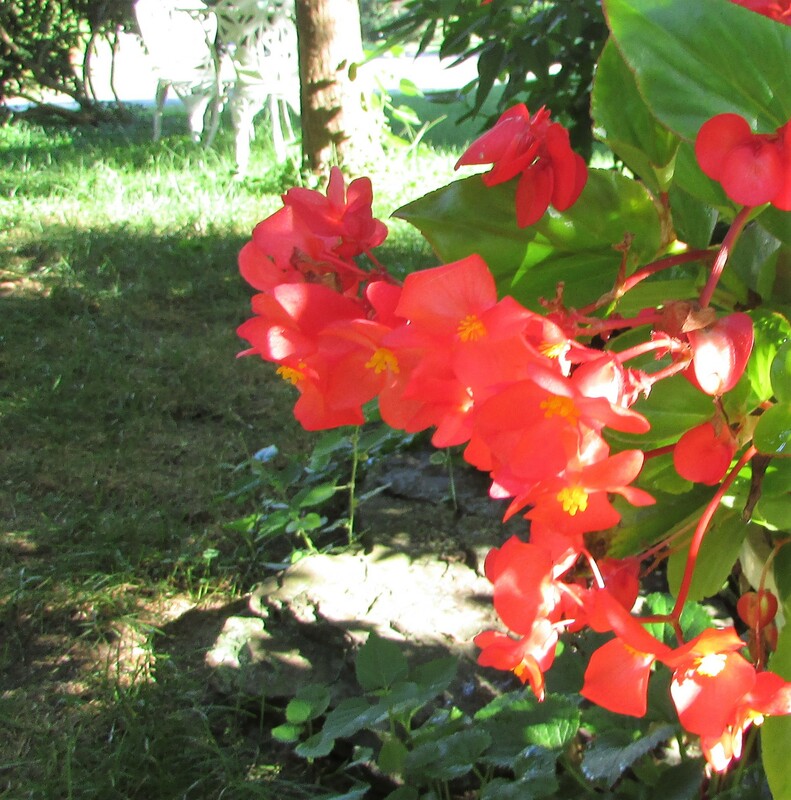 Angel-wing begonias come in pink and red. My hanging basket has done well in semi-shade all summer. I will try and save the entire plant in a sunny window to bloom again next year. I also rooted a cutting in water; it is now planted in a small pot and growing under my basement plant lights. All of these plants grow reliably outdoors. Lady Baltimore dies back to the ground every winter but sends up new stalks in the spring. The tropical hibiscus and Angel-wing begonia do double-duty as houseplants. Your posts are upbeat, and I enjoy that when the subject is gardening. Now, if I posted about gardening…. Anne, I think your thumb is turning green. I noticed some nice houseplants in one of your blog posts. Those plants are probably the ones John waters. I tell you, plants cringe when I come in the room. Thanks…I will post a update photo on a wonderful little rose of sharon tree that has grown very well this year in my garden. I love the richness of the color.